Let’s say you have a website, you know your lessons are valuable, and you have a marketing plan that will bring English learners onto your site and social media channels. It all sounds great, but…. 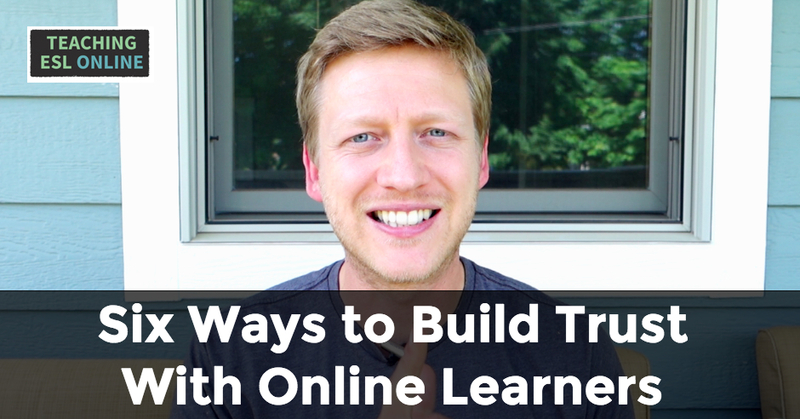 You won’t get paying learners/customers if you don’t gain the trust of your audience. As teachers, it’s vital that we make our potential clients confident that we are going to deliver for them. 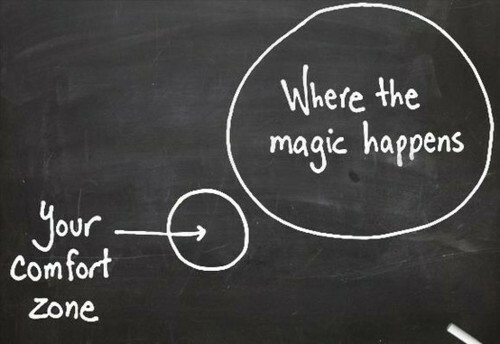 And working online makes this more challenging. Luckily, there are many things that we can do to build trust online, and that is what I’m going to explore in this post, starting with first-impressions. When learners land on your homepage, click play on YouTube or see your promoted post on Facebook, they instantly form an opinion about you. If they get a bad impression, they leave/stop watching/ignore your stuff. Therefore, your website should be visually appealing and look professional. This is because when a learner lands on your site, your design is crucial for getting him/her to stick around and learn more about what you do. People can judge a website in milliseconds. Now, it’s important to point out at this stage that you may not get this perfect first time. But you should always be taking stock and looking at ways to improve upon what you have. In addition to your getting the look right, you have to engage your audience with content that is going to impress them. If you solve a problem that your learner has, then they will want to learn more from you. Having content that is useful will help you build a teacher/student relationship, and this will result in more sign-ups for your lessons. This goes for content on your site and elsewhere. So, now that we know a good-looking website with useful content, let’s move on to the best way to get your message across. From my experience and research, there are two important factors here: personality and video. Learners want to know the person behind the content and they want to see that person in action. When I advertised my one-to-one lessons more prominently on my site, my conversions increased once I included a video on my booking page. And since I started focusing on YouTube for my new brand, I’ve received many more requests for lessons without plugging them in any way. What I recommend is having video across your site. This is easy to do these days and, if your first videos aren’t perfect, you can always replace them at a later date. Again, this is striking a balance between perfection and getting started. And don’t be scared about sharing small details of your personal life here and there. This shows that you are a real person and it will help you make a better connection. Consistency plays a big role in gaining trust, especially if you are building an audience over the long-term. As I revealed in this post, I lost a little momentum last year. 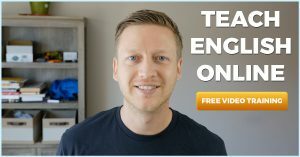 I wasn’t consistent with new videos, posts, and emails, and I know that I lost the interest and trust of some of my learners because of this. When you’re consistent with your online lessons, email responses, blog posts, YouTube videos, social media posting etc., your learners and potential students see you as someone who is trustworthy and committed to what you do. And when it comes time to advertise your lessons or launch a new course, people will know that you’re going to deliver on your promises. 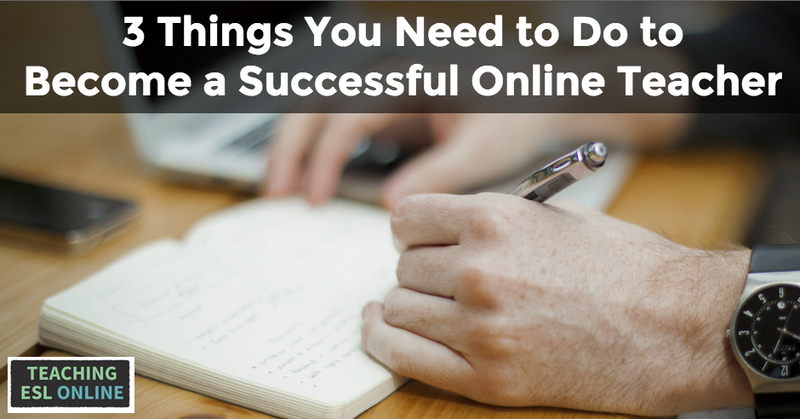 As I expand my online business, I am looking to outsource my work more and more. One area that I want to keep under my control as long as possible is email communication. This plays a crucial role in building trust and, ultimately, getting more sign ups. I use TextExpander to help me with this, but I spend about an hour a day responding to emails and comments. Giving a response within 24 hours shows that you care and that you are someone who takes customer service seriously. And we all know that when buying something, customer service plays an important role in our decision. In addition to building trust, reading comments and emails helps you better understand your audience. In my series of automated emails that go out after someone signs up, I ask a variety of different questions. These answers have given me great insight and they have helped me build better products and courses. No one likes to be taken for a ride. And, unfortunately, there are many learners out there who like to take advantage of teachers who offer things for free. An example of this is the trial lesson. Learners have been known to request a free trial lesson even though they have no desire to pay for future classes. A potential problem with this – in addition to giving free lessons all the time! – is that you can start to feel exploited, making you less likely to give your time to help others. However, there are two types of people that matter to us online teachers: those who will potentially pay for your lessons and courses (the potentials); and those who will never pay for anything (the nevers). Don’t let the second group put you off, and instead, make it a win-win-win situation by giving as much as possible. You win because you build trust with the potentials and also feel good about helping others. The potentials win because they receive great content, trust you, and then go on to take lessons. And the nevers win because they get really good content. That doesn’t mean that you have to give lots of trial lessons – over time you will learn to filter free trial lessons, for example – but you do need to give in order to build trust and to receive in return. My favorite way to give is through my blog posts, videos, and social media posts. Interacting with learners, as discussed before, is another way that you can give to receive. There is only so much that you can say about yourself to build trust. That is why getting others to do this for you is crucial. The most common way to do this is through testimonials and/or case-studies. With my online courses, I have never directly asked for testimonials. But if I receive an email from a happy customer, I ask them if I could use their email as a testimonial on my site. With one-to-one lessons, asking is much easier. The best time to do this is at the end of a good lesson. Going back to a point I made earlier, a video testimonial is much more powerful than a written one. However, they are harder to get. In addition to testimonials, you can also build trust by showing off your numbers. If you have a substantial amount of Facebook fans, Youtube or Twitter followers, put something on your site so that people can see this. Please leave your experience of building trust in the comment section below and, if you have further tips, please share them! A few months back, I wrote an article looking at the benefits of using Evernote, Asana, and LastPass as an online teacher. Since then, I have started using other useful applications, and today I want to share three that I’m sure you’re going to love. These apps have helped me save time and become more organized; one has even helped me improve my writing. So, let’s jump right in and start with my favorite. This application has saved me a lot of time, and I can’t recommend it enough. It works like this: you assign snippets to commonly used text and pictures, and when you type out those snippets, they transform into the pre-assigned text. As an example, I get asked the same questions from English learners over again. If someone asks me to help them with their grammar, I have a 5 paragraph response with relevant links that I like to send. All I need to do is type ;tfgrammar and then personalize the email. I have around one hundred snippets for URLS, stock email responses, email signatures, codes, post outlines, YouTube descriptions, and much more. TextExpander is a Mac application – PhraseExpander is the Windows equivalent – and syncs across all Apple devices. It works in every writing application, so you can use it when responding to emails, writing blog posts, and posting on Facebook. The more snippets you add, the more you’ll get out of this application, and I highly recommend you give it a try. It’s $34.95 for a lifetime license. Sunrise Calendar is the best online calendar I have come across. Due to these integrations, I can avoid double booking myself without having to check different sites. As an online teacher, this is invaluable. Personally, I love how it integrates with Asana, showing the different tasks I have for each day. If you use a different application for task-management, there will most likely be an integration for that too. There are lots of little things that make the application so useful, for example, you can respond to Facebook events within the app. It’s easy to use, looks great, and works on all devices. And it’s free. With all the articles, social media posts, and emails that I write, I often make silly mistakes. Grammarly, a grammar checker that works best through the Chrome extension, has made writing much easier for me. It claims to spot ten times the mistakes than common word processors, and from my experience, I have found that to be true. When you click the red correct button, a pop-up window appears with suggested corrections and explanations, and you can make changes within the pop-up. In addition to checking your writing, it detects plagiarism and helps you improve word choice with vocabulary suggestions. I’ve improved my writing quite significantly since first using it. And as I mentioned before, having something highlight silly mistakes and typos has made a big difference. It’s not perfect and can’t be compared to a professional proofreader or editor, but it’s fantastic if you need something that works wherever you write. There is a free and a paid version available. Have you used any of the applications listed here or in my first post? If so, share your experiences using them. 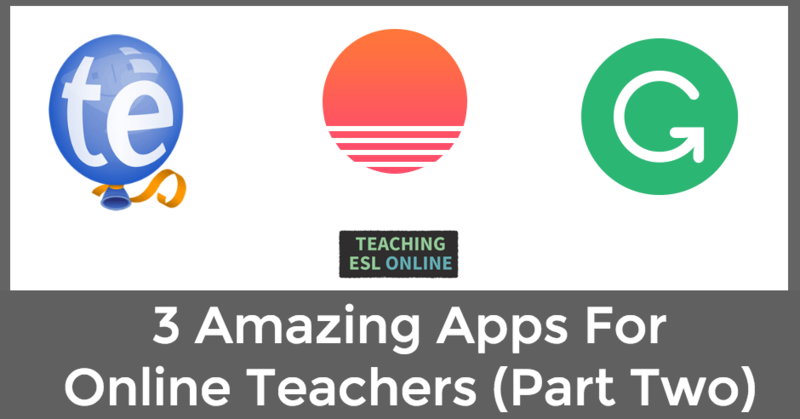 Additionally, if you have any app recommendations for online teachers, please share them below! Last autumn, I stopped posting content for English learners on the website I started back in 2010. I was going in a different direction with my teaching and wanted to build a new brand that matched this. 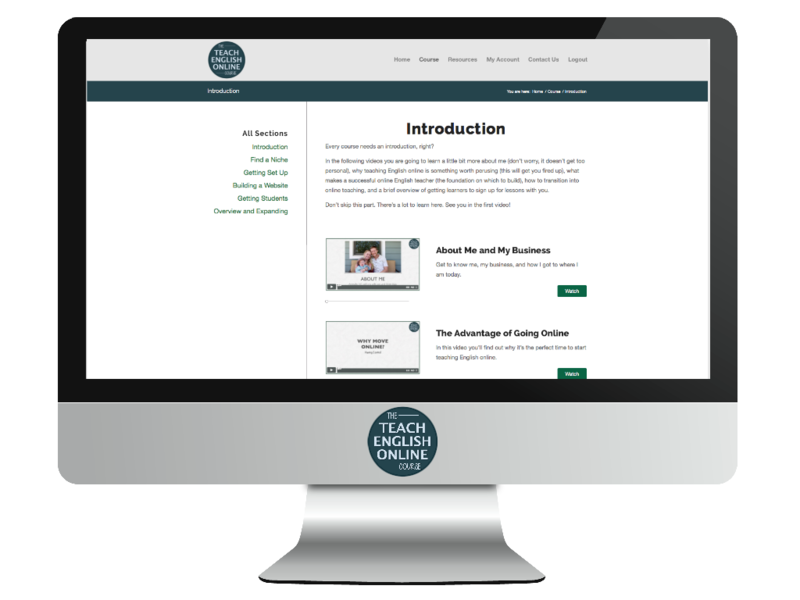 I created my first site, JDA English, to promote my online lessons. When a learner landed on JDA English, the one thing I wanted them to do was to sign up for a trial lesson. However, 2014 was the year I made the transition away from one-to-one lessons into selling online courses and group lessons. And this is where To Fluency was born. In this post, I’m going to talk about how things have progressed but, firstly, I want to go through the naming process. One of the biggest reasons why I started a new brand was because I wanted a name that better fit my vision. The name of my original site came from my initials. Although I wasn’t thrilled about it, I went with JDA English because I wanted to put focus on me as a teacher. But with the change of direction, I felt I needed something new to get excited about, and that is why I made a fresh start. 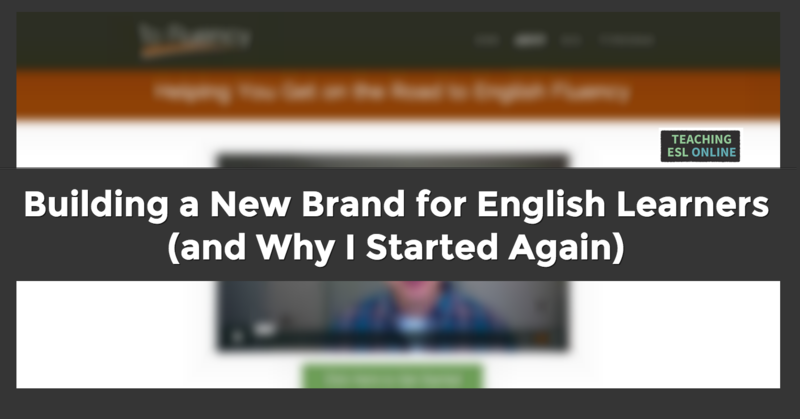 There is a history behind the name To Fluency that I haven’t talked about before. In 2008, my wife and I started work on a website where language teachers and learners could meet, and we called it To Fluency. Teachers would be able to post a profile, set their prices, and have learners sign up with them. The lessons would take place in a virtual classroom hosted on the site. The website never got completed – although, it came pretty close – and I let the domain name go, only to buy it again last year. I feel the name helps get the message across that learning English is about the journey, and that there are certain things that learners should do on this journey to fluency (more on this later). One thing to note is that it doesn’t have English in the domain. Having this would have been preferable but it wasn’t a big enough issue for me. In many ways, creating this new website was like starting all over again. For example, I had to create new social media pages and a new YouTube channel. For anyone who has tried to build these profiles, you will know that it takes a bit of time and consistency. If I had over 10,000 subscribers on YouTube, I would have thought twice about making the change. But when I started the new site, I had 1,000, and although I knew it would be a lot of work, I decided to go for it. Looking back, I made a couple of mistakes when making the transition. Firstly, I lost a bit of momentum in the months leading up to the launch of the new site. There were times when I didn’t send out an email to those on my list for a few weeks. And secondly, I didn’t build up any excitement before launching. Because of this, my email open rates dropped, and it has taken a few months to build them back up again. But having an email list has allowed me to bring over followers from my old site to my new one, and this is another reason why prioritizing email is important. To Fluency is all about helping English learners make fast progress to fluency in a way that is fun and sustainable over the long-term. I talk about learning methods, motivation, goal setting, and getting into the habit of learning English. Over the past seven years of teaching, I have learned that lessons can only get a learner so far, and more needs to be done outside of the classroom. Those who make progress are the ones who use English on a daily basis and make English part of their lives. The feedback I have received from my videos has been really positive, and I’m excited about seeing how far I can take it. From a business standpoint, income comes from the To Fluency Program (an online course) and although not substantial right now, YouTube advertising. Things have started strongly in all three of the above areas. I’ve put a lot of focus on YouTube and videos in general. Video marketing is getting more important and powerful each year, and I have a structure so that I can crank out videos on a consistent basis. I’ve just hit 650 subscribers on YouTube, with 90 coming in the last week alone. I’m really pleased with this, especially because I only started posting videos on a consistent basis in January of this year. My new goal is to hit 10,000 by the end of the year. At first, it can feel like you’re doing a lot of work (new videos, social media posting etc.) without gaining any momentum. But if you stick at it, things start to click, and that is what I’m seeing now. Additionally, I’m putting my efforts into areas that are working (80/20 principle). Therefore, I’m concentrating on three social networks while keeping the others ticking over, going all in on video, and spending time communicating with my audience through email and elsewhere. Having a substantial email list gave me a head start with this new adventure, but as I mentioned, it was like starting again with YouTube and social media. I’m starting to see everything come together, and momentum is building. The ride has been enjoyable so far, and I’m looking forward to building my brand over the coming months and years. Are you building a brand at the moment? If so, share your experiences in the comment section below. 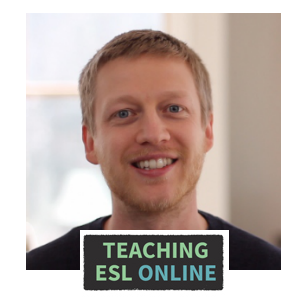 And if you haven’t done already, click here to get your free guide to the tools and resources you need to teach English online.